Maintaining a drug-free environment is very important and crucial in every area of corporate and government offices. And when talking about correctional facilities, it is of utmost importance that the environment remains free from drug abuse, be it inmates or the staff. A single unsupervised act may lead to riot like disturbances under the influence of drugs. Drug testing is an essential step towards fighting drug abuse. It helps in identifying the people involved in drug abuse, so either an action or a corrective measure can be taken to prevent such activities. The entire rehabilitation program of the correctional facility also demands the test to be conducted, so the process of rehab can get started for people under drug or alcohol’s influence. Correctional facilities must maintain an environment that is free from alcohol, substance and drug abuse at all times. The whole reason for conducting a drug-testing programme is to make sure that safety and security are not being compromised because of drug or alcohol abuse. Also, drug testing is a crucial part of the whole rehabilitation process that is unavoidable by an inmate. The tests are conducted for both the staff and the inmates, to identify the potency of drug abuse in the correctional facility. The drug test may be performed in the area itself or a laboratory. And any of the four methods may be employed to conduct the analysis: Hair, urine, Blood, Nails. While there are so many ways in which the drug abuse test may be conducted, it is essential to choose a test which will result in accurate and precise results in a shorter span of time. Most ways require that samples be collected and sent to the laboratory for testing, and this may take several days. For a speedy process, it is better to choose the option that can be used right there in the correctional facility, and the results are known on the spot. Ovus Medical is a company that specializes in the production of drug testing cups. These cups are the best options when conducting a bulk test, and the results are to be known immediately. The drug test cups by 12PanelNow are of excellent quality and are packed with features. The cups come with a leaflet of instructions that will guide you on the procedure of conducting the test. The cups are handy, tightly sealed, and do not require any additional equipment. All one has to do is, collect the sample, secure the lid and leave it for 5 minutes. The cup will show the result right there. It is an easy, painless and tidy way of carrying out drug tests. The cup is capable of identifying 12 legal and illegal drugs. 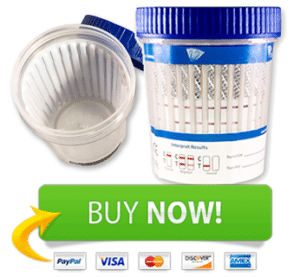 Place a bulk order for Ovus Medical drug testing cups, and you will get the cheapest rates with the finest quality.